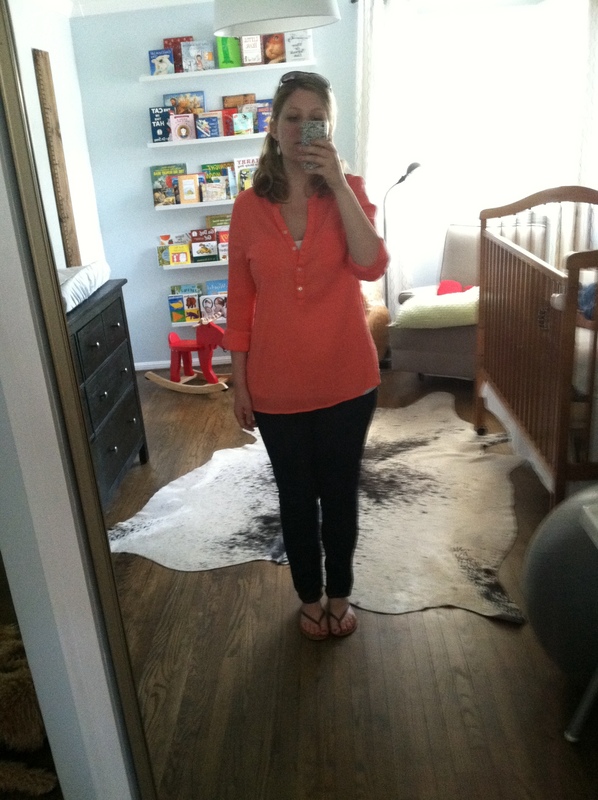 Skinny jeans and a bright coral top from old navy, flip flops and dangly earrings. I got my toes painted the same color as the top. 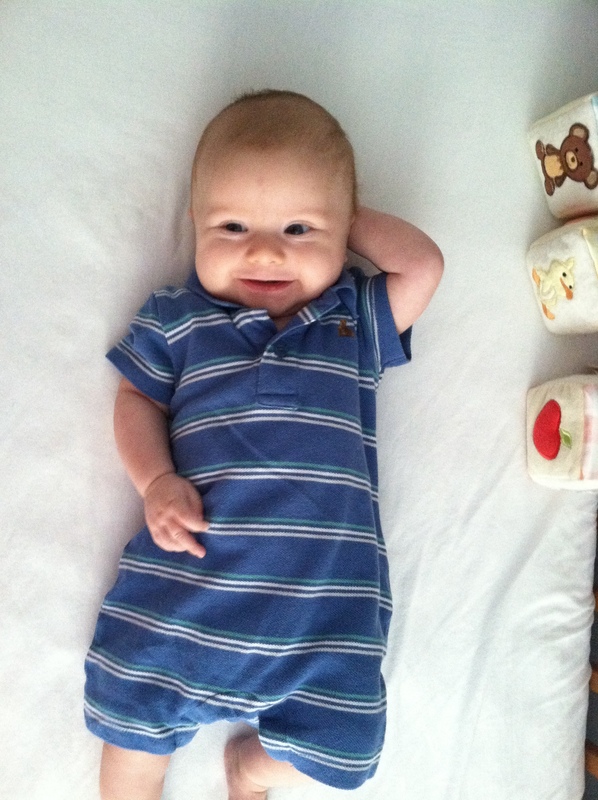 He’s wearing a romper from baby gap – it was on sale. I think blue is definitely his color, not just because he’s a boy, but because it matches his eyes. I really hope they stay blue! My husband goes in for an MRI on his foot tomorrow – send positive thoughts for no surgery needed!! You look great! Love that color shirt on you. B.T. has this same romper! Also found it on sale. 🙂 Gotta love big discounts on cuteness!